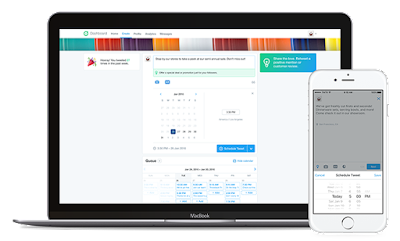 Twitter has just launched an app that will help businesses manage both communication and engagement with their followers. Called Twitter Dashboard, it’s available in beta for those in the U.S. on both iOS and as a desktop app. 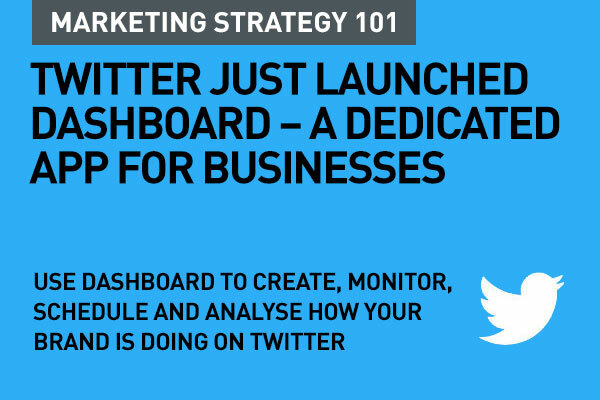 Twitter Dashboard will enable companies to create their own feed, and a clear picture of what’s being said about their businesses, lets them schedule Tweets, and offers insights about their Tweet performance. You can create a custom feed to find out what’s being said about your business. Use your custom feed to get right to the Tweets you want to see first and better engage with your community. For example, if you work at a cafe, you may see a Tweet from a customer who has a question about your hours. Or, if you’re a boutique owner, you might see a Tweet from a potential customer talking about one of your products. The ability to see these Tweets at a glance offers endless opportunities for you to connect with customers and potential customers with responses that add value. Now you can schedule Tweets to reach your audience when they’re online and you’re busy doing other things. If you want to edit your scheduled Tweets while you’re on the go, you can use the iOS Dashboard app to update your Tweet queue, according to Twitter. Twitter says Dashboard will inspire and give ideas. 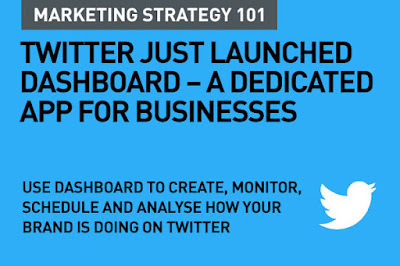 "Kickstart your creative process with Tweet tips geared just for businesses. They can help you start conversations and engage your audience in those moments when you’re not sure what to Tweet. For example, if you work at a restaurant, a tip like, “Your team is as unique as your business. Tweet a surprising fact about one of your team members,” might remind you to share some recent recognition your chef received. Or, if you’re an interior designer, seeing, “Share the love. Like and Retweet kind words from your customers,” might prompt you to Retweet a customer’s excited reaction to one of your recent projects. There are so many Twitter tools already. TweetDeck, Hoot Suite, Tweet Reach. Why this now from Twitter?